To claim this profile, please confirm you are Rhea Bhutada. To follow this profile, please let us know your relationship to Rhea Bhutada. 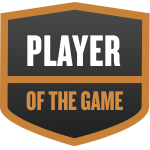 Rhea was selected the Player of the Game in the basketball game against Hart on Mon, Dec 03 2018. Congratulations to #14 Rhea Bhutada for being selected the Oak Park Girls Basketball Player of the Game. The Oak Park varsity basketball team lost Tuesday's away playoff game against Northview (Covina, CA) by a score of 44-37. Rhea's basketball stats have been updated for the win vs. Carson. The Oak Park varsity basketball team won Saturday's home playoff game against Carson (CA) by a score of 57-50. Rhea's basketball stats have been updated for the win vs. Tehachapi. RESULTWin Girls varsity basketball vs. Tehachapi. The Oak Park varsity basketball team won Thursday's home playoff game against Tehachapi (CA) by a score of 81-44. Rhea's basketball stats have been updated for the win vs. Arleta. The Oak Park varsity basketball team won Tuesday's home playoff game against Arleta (CA) by a score of 74-53. Rhea's basketball stats have been updated for the loss vs. Northview. The Oak Park varsity basketball team lost Saturday's neutral non-conference game against Northview (Covina, CA) by a score of 47-43. Rhea's basketball stats have been updated for the win vs. Ramona. The Oak Park varsity basketball team won Friday's neutral playoff game against Ramona (Riverside, CA) by a score of 49-43. Rhea's basketball stats have been updated for the win vs. Whitney. The Oak Park varsity basketball team won Wednesday's neutral playoff game against Whitney (Cerritos, CA) by a score of 49-40. Rhea's basketball stats have been updated for the win vs. Workman. RESULTWin Girls varsity basketball vs. Workman. The Oak Park varsity basketball team won Saturday's home playoff game against Workman (City of Industry, CA) by a score of 78-44. Rhea's basketball stats have been updated for the win vs. Santa Ynez. RESULTWin Girls varsity basketball vs. Santa Ynez. The Oak Park varsity basketball team won Thursday's home playoff game against Santa Ynez (CA) by a score of 61-52. Rhea's basketball stats have been updated for the win @ Agoura.